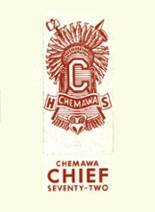 If you want to buy a Chemawa Indian School yearbook or sell your Chemawa Indian School yearbook, this is the place to do it. Just make a post below to find another person who went to school in Salem to make the trade. I was just seeing if there was a yearbook. b/c i lost my yearbook!!!! i want to see if a poem i wrote got published? I NEVER RECEIVED MY GRADUATING YEARBOOK. 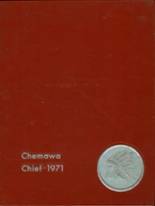 I never graduated from CIS but would like, to have 1985/1986 year books...I attended CIS 84-86. I would like to buy a 1986 year book never got the chance to get one or see one. Looking for a yearbook for 85, if anyone can help please let me know. Thank you. I would like to know if anyone has a copy of the 1983 yearbook that I could purchase! Thank you! If anybody has this yearbook please request me. I would like to view it with all it's memories of that year being at the school, FUN!!! I would like to see the yearbooks for 1976 and 1977. I dropped out of school in 1978. Want to buy yearbooks 1974, 1975, 1976 and 1977. If you have a copy I'd buy today! I lot a treasure;1970 year book and if you can provide if I will gladly pay for it. I do not have a e-mail address, am using this one until I get one. Looking for Class of 1968 Year Book. Requesting Class of 1968 year book. 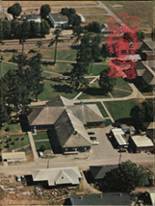 1967 Year Book and where to order them from.